Thank you for downloading Perfect Mold CD2 by Charles Xavier. Your review consideration is greatly appreciated. “PERFECT MOLD” is the next digital release for Happy Note Records that will be distributed by the Orchard on November 26, 2013 as “New Age” and available on iTunes, Amazon, and others. Xavier’s specialty is his use of the vibraphone with piano and percussive instruments arranged by himself and appeals to music lovers, who are favoring artists from genres such as world music / jazz / new age / classical / music for healing and relaxation. Past reviews of his work are positive. 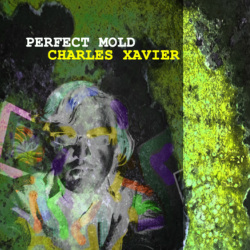 Please Submit Your Contact Information Below to Download a Copy of Charles Xavier's New Album Perfect Mold CD2. After clicking SUBMIT please enter the password... xavier.